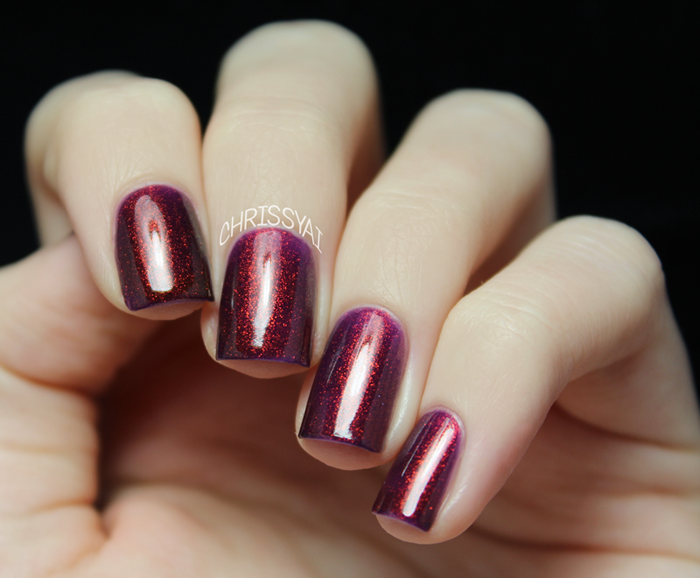 Phoenix Feathers is described as a warm, red-toned purple base with shimmer that shifts from red to gold to green. 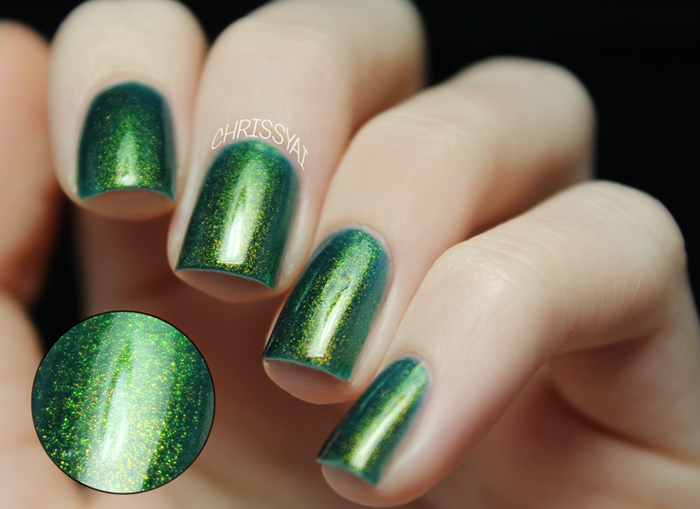 Dragon Scales is described as a cool-toned green-leaning teal base with shimmer that shifts from bronze gold to green. Unicorn Tears is described as a cool-toned violet base with shimmer that shifts from cool green to blue. All of these polishes applied nicely and the colors are so gorgeous! Wow, each of these polishes is stunning and very unique. The blue is my favorite! Ohhh these are so pretty! Phoenix Feathers reminds me of an opaque Max Factor - Fantasy Fire. I really love Unicorn Tears too. I want them. Oooh... this is gorgeous. Love the dragon scales. i love the 2nd one! so gorgeous!